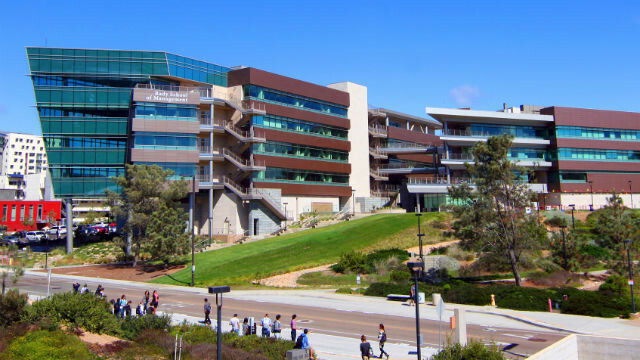 The Center for World University Rankings has named UC San Diego the world’s 20th-best university, UCSD announced Tuesday. The center evaluates 2,000 universities for its annual list, which is the largest academic ranking of global schools, according to CWUR. The center based in the United Arab Emirates also ranked UCSD No. 20 in 2014, but UCSD was No. 18 in 2017, No. 17 in 2016 and No. 21 in 2015. Harvard University, Stanford University and the Massachusetts Institute of Technology topped the CWUR rankings, while the University of Cambridge and University of Oxford placed rounded out the top five. UCSD ranked 16th among U.S. universities. “We are pleased to receive this honor, as our university’s positive impact and reach continue to grow,” said UCSD Chancellor Pradeep K. Khosla. UC Berkeley and UCLA, in the sixth and 15th spots, respectively, were the only UC schools to place above UCSD. The rankings take various criteria into account, including quality of education, which measures the number of major awards won by alumni; quality of faculty, which measures the same with academics; alumni employment, which measures the number of CEO positions held by alumni; research output, which relates to faculty articles in “reputable,” “top-tier” and “highly- influential” journals; and citations, which measures the number of highly cited research papers produced by university staff. UCSD faculty conduct research on a wide variety of topics, including ocean bioluminescence, gut microbiomes and pancreatic cancer blood testing. University faculty, researchers and alumni have won 25 Nobel Prizes.